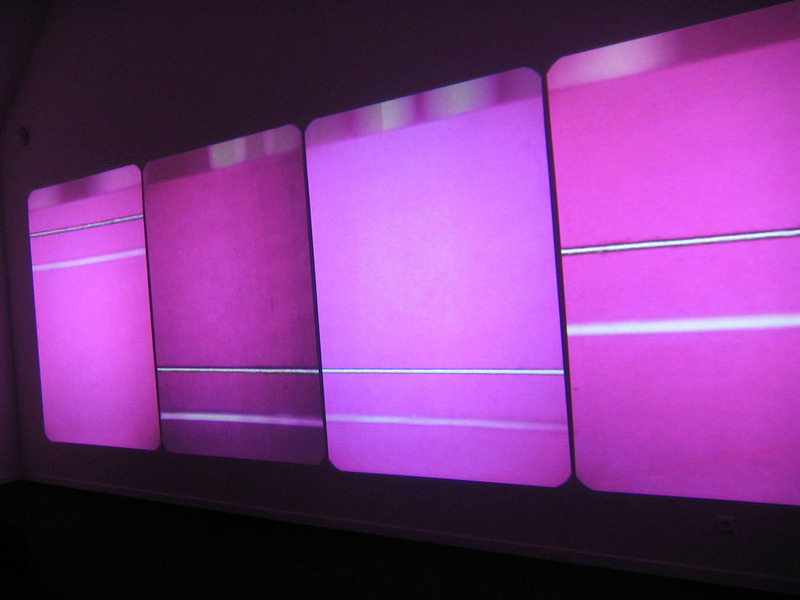 Sound Strip / Film Strip is Paul Sharits' first "Locational" work, made in collaboration with Bill Brand. The piece was commissioned for the 1972 opening exhibition of the Contemporary Arts Museum, Houston,Texas. and was restored by Bill Brand in 2007 for the General Council of the Territory of Belfort, France for the Espace Multimédia Gantner.